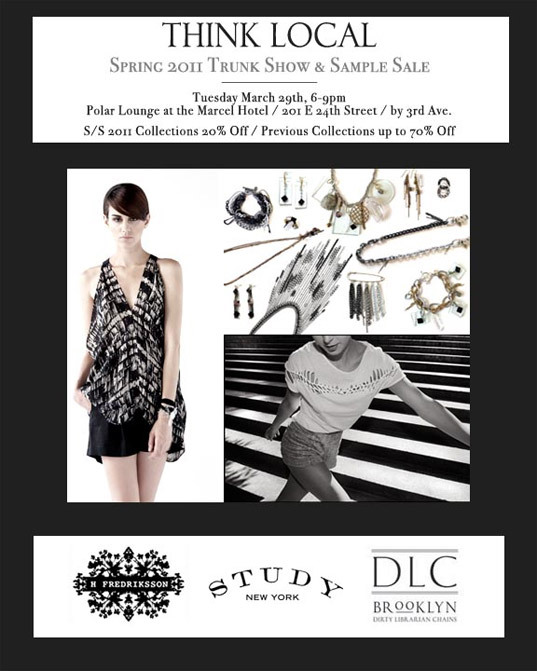 Study NY, DLC Brooklyn, and H Fredriksson will have their Spring/Summer 2011 collections at 20 percent off, as well as past seasons available up to 75 percent off. A percentage of sales will be donated to the aid efforts in Japan, as well. There will be good tunes, and the bar will be open. Free gift bags for the first 25 shoppers! 201 E. 24th St. near 3rd Ave.